When would you like to stay in hotel Short Stay Rotterdam Centre? 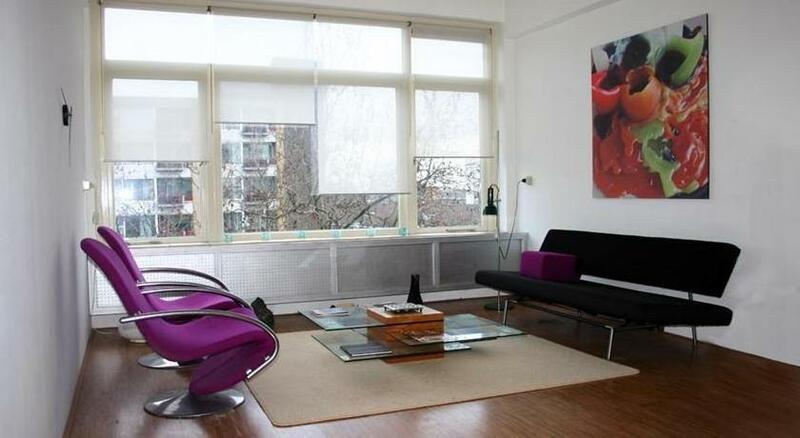 This apartment is located within a 15 minute walk from Rotterdam Central Station. Short Stay Rotterdam Centre offers free Wi-Fi, a balcony and fully-equipped kitchen. Located on the 5th floor, the apartment has wide views over the Rotterdam skyline. A flat-screen TV, seating area and dining area are featured. The bathroom is fitted with a shower. You can prepare meals in the kitchen which is equipped with a stove, oven, refrigerator and dishwasher. A wide variety of cafes and restaurants surrounds Short Stay Rotterdam Centre. Around the corner from the apartment is the lively Meent. Euromast is a 7-minute drive. Stadium De Kuip and event hall Ahoy are 13 minutes by car. It is 4 km to the A13 and A20 highways. We have included all charges and information provided to us by Short Stay Rotterdam Centre. However, charges can vary, for example, based on length of stay or the room you book.